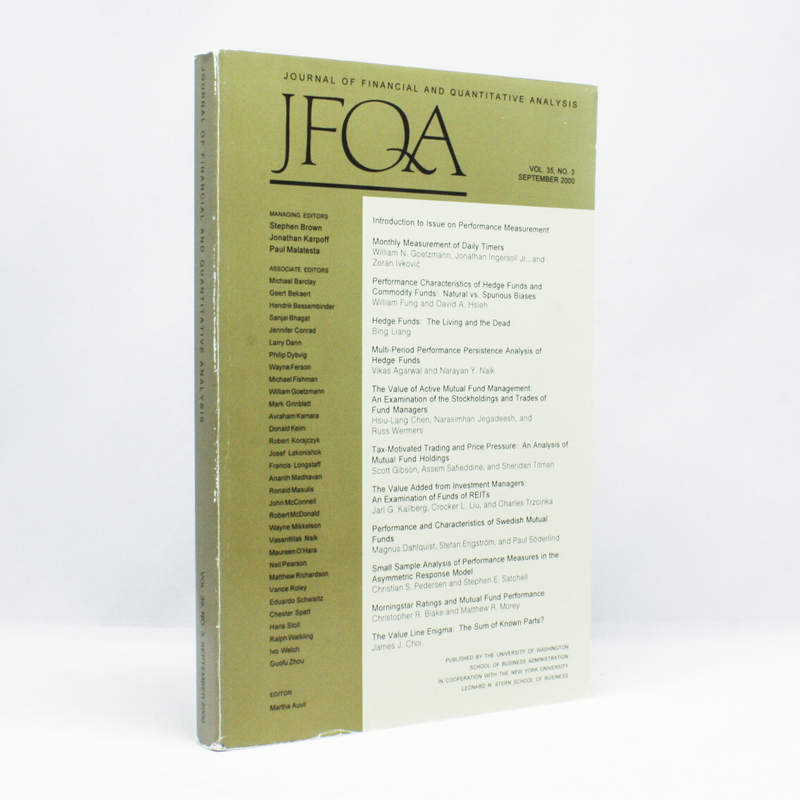 Journal of Financial & Quantitative Analysis Vol. 36, NO. 3 - IFA Vintage and Current Book Library - Index Fund Advisors, Inc.